THE deaths of two men aboard the Sage Sagittarius or "Death Ship" in late 2012, was not only the likely result of foul play, but they were also likely the victim of the same culprit, according to the findings of an inquest into the deaths. How chief cook Cesar Llanto and chief engineer Hector Collado lost their lives has been scrutinised for more than 18 months by NSW Deputy State Coroner Sharon Freund, following an investigation by News Corp Australia. Mr Llanto disappeared from the ship on August 30, 2012, as it sailed south about 600km off the Queensland coast. Just two weeks later, Mr Collado would receive a blow to the skull then plummet 11m to his death as the Sagittarius arrived in the Port of Newcastle. A third man was killed aboard the ship when it arrived in Japan in October, but that death was beyond the boundaries of this probe. 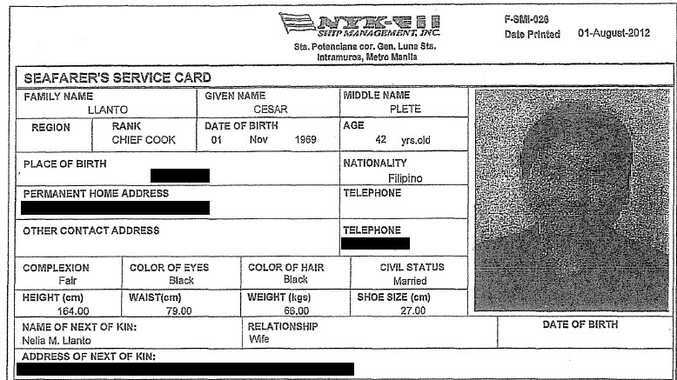 Former Sagittarius captain Venancio Salas Jr became a focus during the inquest after he admitted to physically and emotionally abusing a gay sailor, selling guns on board and threatening to write scathing reports on workers he did not trust. Such letters would amount to being blacklisted in the industry, likely putting the men's livelihoods at risk. He gave evidence to the inquest three times, each time maintaining his innocence in relation to the two fatalities that occurred aboard his vessel. Both the deaths were investigated by the Australian Federal Police, with officers treating the cases as highly suspicious. It was a treatment backed by the Coroner on Wednesday who said Mr Llanto's disappearance was likely the result of him being thrown overboard or killed somewhere on the ship. She said his body may have been dumped at some later point. She found there was no evidence to suggest Mr Llanto would have taken his own life, but plenty to say he had a strong reason to live. He was married to his childhood sweetheart, was God-fearing, and "valued life and his two young children". Indeed, Ms Freund said the evidence suggested the ship's captain "caused or authorised the disappearance of Mr Llanto" or that he knew more about what happened to Mr Llanto than he told the inquest. She tempered that view by saying there were still three sailors who did not give evidence to the inquest. BELOW: News reports from 2012 after the shock death of Hector Collado at Newcastle. Deaths discovered aboard the Sage Sagittarius in 2012: NBN News confirms the death of chief cook Cesar Llanto and Hector Collado aboard the MV Sage Sagittarius in 2012. The two deaths, and that of a third man weeks later, will be examined in an inquest by the New South Wales State Coroner. She found that Mr Llanto died as a result of "foul play by a person or persons on the vessel" but did not formally identify a suspect. Turning to Mr Collado, she found the chief engineer was mentally shaken by the death of his colleague in the weeks before his own death. The inquest heard Mr Collado had told his wife that he was being followed on the Sagittarius and "sounded fearful" when speaking to her. 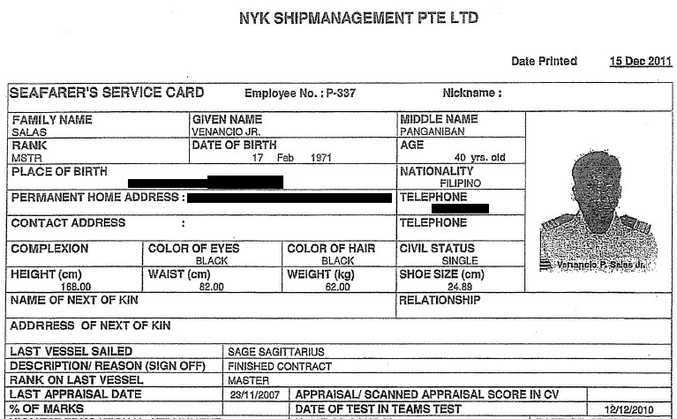 The deaths aboard the Sage Sagittarius prompted an inquest into the fatalities and now a Senate Inquiry into foreign shipping. The Coroner found Mr Collado may have accidentally tumbled from the high deck after being struck on the head, but nevertheless found he likely died as a result of foul play. After being struck "with some kind of weapon", she found he was either thrown over the side of the deck to his death or fell over the handrail. She found while there was no direct evidence as to the culprit behind Mr Collado's death, it would be an "extraordinary coincidence" if those who caused the Mr Llanto's death were not also responsible for Mr Collado's death. 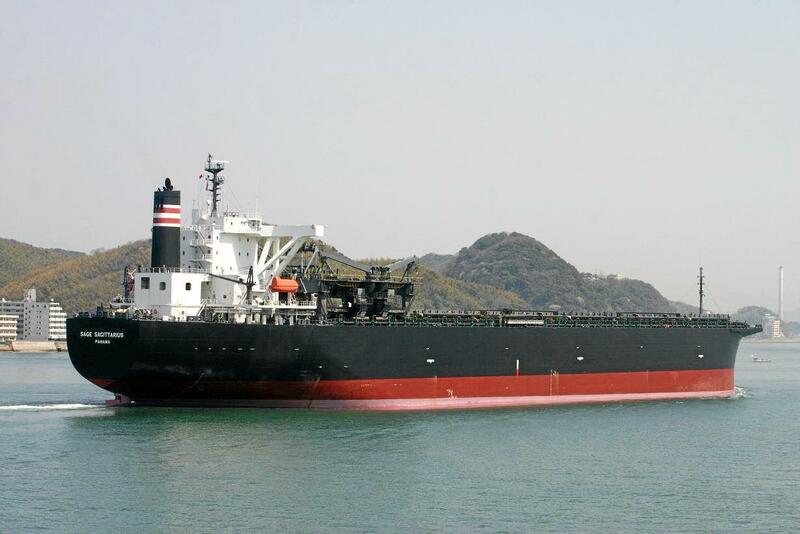 Sage Sagittarius leaves Japan's Kudamatsu port with 25 crew, including chief cook Cesar Plete Llanto. 6.30 - 7.45am: Cesar Llanto working in the galley/kitchen of the Sagittarius with Jessie Martinez. 7.45am: Martinez leaves the galley and heads to the bridge. 7.55 - 8am: Llanto heads to the bridge. Stays a short time before leaving. It is the last time he is seen. At this moment, the ship is 900km north east of Mackay in the Coral Sea. 8.10am - 8.30am: Around this time, ship captain Venancio Salas arrives at galley for breakfast. Llanto was gone. 8.30am - 9.30am: Crew members search the ship. Llanto is paged through the ship's intercom system. No luck. 9.35am: Captain orders comprehensive search of entire ship. 10.15am: Search finished, no sign of Llanto. 10.20am: Australia's Rescue Coordination Centre is phoned. Distress signal broadcast. 11.02am: Search begins with RCC aircrafts and other ships involved. 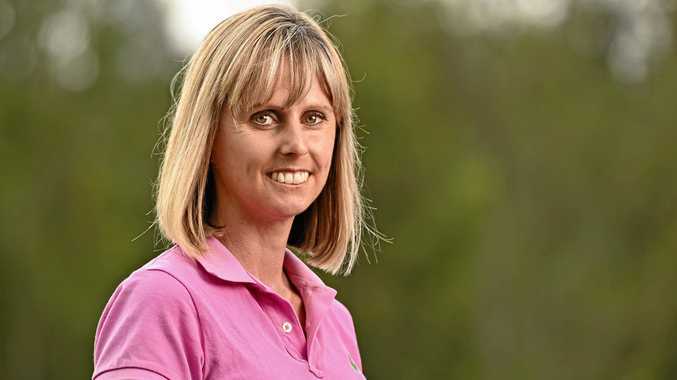 6.22pm: Search is called off, 34 hours after Llanto was last seen. 10.40am: Sage Sagittarius dismissed from search, heads to Newcastle. Llanto missing for 50 hours. Australian Maritime Safety Authority contacts Australian Federal Police to report Llanto's death. AMSA warns the death could be suspicious after ship owners demanded "complete statements" from crew. 4.45pm: Ship owners' safety superintendent Kosaku Monji lands in Brisbane from Japan. He is delivered to the Sagittarius by helicopter with two security guards. Monji would be killed after the ship arrived back in Japan on October 6. AFP board the Sage Sagittarius at Port Kembla, where it had been diverted, to conduct forensic examinations of vessel and crew. Workers are interviewed. No evidence of suicide or accidental death. Raul Vercede, Jessie Martinez, Harvey Penoliar and two other crewmen leave the Sagittarius bound for the Philippines. Sage Sagittarius arrives at the Port of Newcastle. 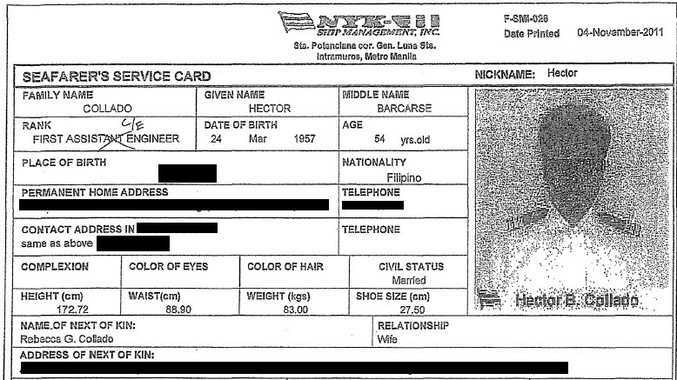 As it comes into port at 8am, Hector Collado falls 11m to his death from the second deck of the engine bay to the lower fourth deck. New South Wales Police comb the ship, examine Collado's remains and interview the crew. Sagittarius departs from the Port of Newcastle bound for southern Japan. Ship arrives at Kudamatsu port at 7am local time. Begins unloading at 5pm. Safety supervisor Monji, who joined the ship for the first time a month earlier, is found crushed to death in conveyor belt machinery. He suffocated after parts of his body or clothing was pulled into the moving mechanisms. Japanese investigators find that his death was not suspicious.